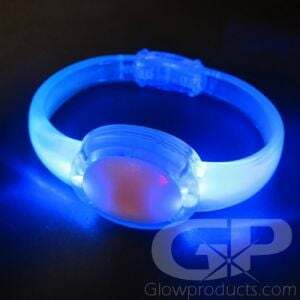 - Premium Bracelets Last Longer & Glow Brighter! - 6 mm Thick! No Leaks! No Duds! - Waterproof! Non Heat Producing Light Source! 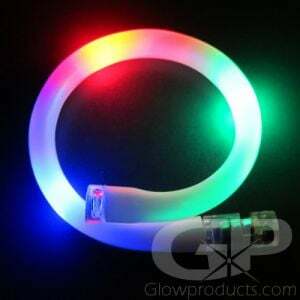 - Great for Glow Parties, Festivals & Lighted Events! 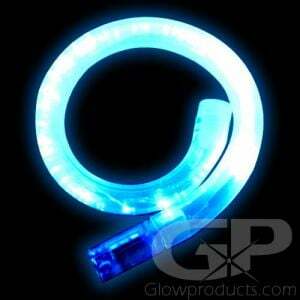 If it's the glow you want then we have the glow you need! 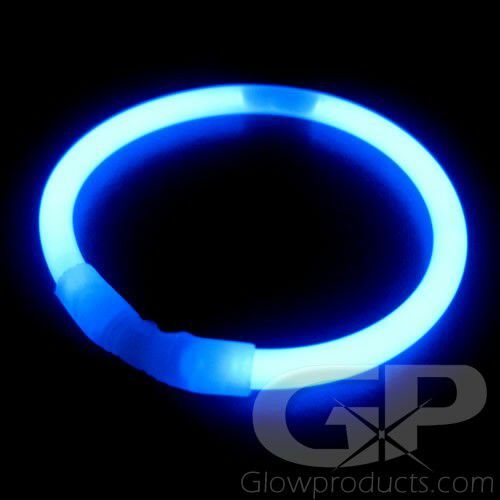 8 Inch Premium Glow Bracelets have an 8 hour glow duration and are a part of our premium line which have a larger liquid glow content which results in a brighter and longer lasting glow! 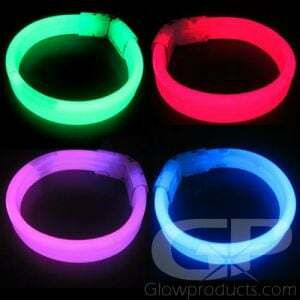 Premium Glow Bracelets are fun to wear as several glow in the dark bracelets at once as colorful bangles or link them together to wear as necklaces, anklets or wrap them around your arms, your legs and your friends and really light up the party! 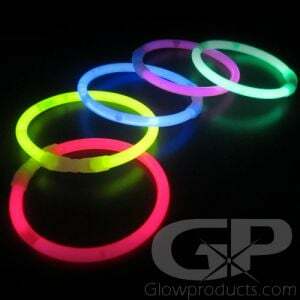 8" Glow Bracelets are great to have on hand for any night time event or sport! Keep track of guests at your event, or keep track of your team mates on your night sport team. 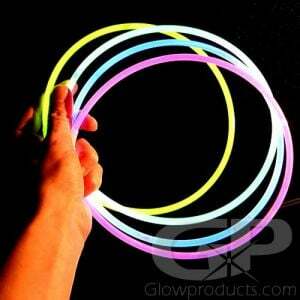 The fun never stops, nor does the endless decorating ideas and effects, when you have a bunch of colorful, glowing bracelets on hand! 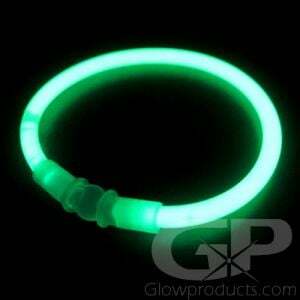 Instructions: Bend along the length of the 8" glow bracelet just enough to break the internal glow ampules. Shake to mix and start the glow! 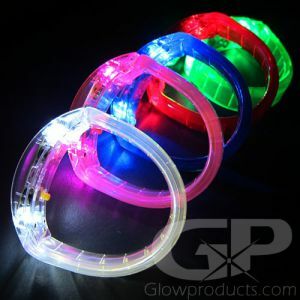 Break away connectors are included with the 8 Inch Premium Glow Bracelets. 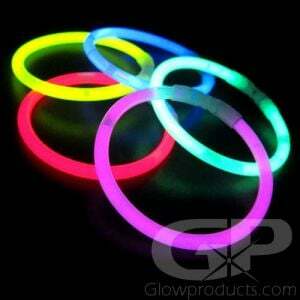 Glow Stick Bracelets are waterproof and non-heat producing and are safe and tons of fun for everybody! 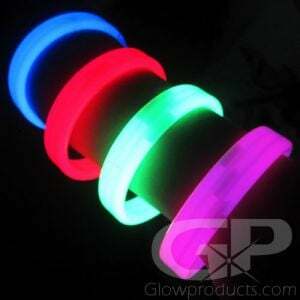 Glowproducts.com sells only the highest quality Duralume brand glow sticks, glow necklaces and glow bracelets!